As you may have seen from my last two outfit posts, I went on a cruise this Summer, around the Aegean sea. I had a sift through all my holiday snaps last night and had to share a few with you. 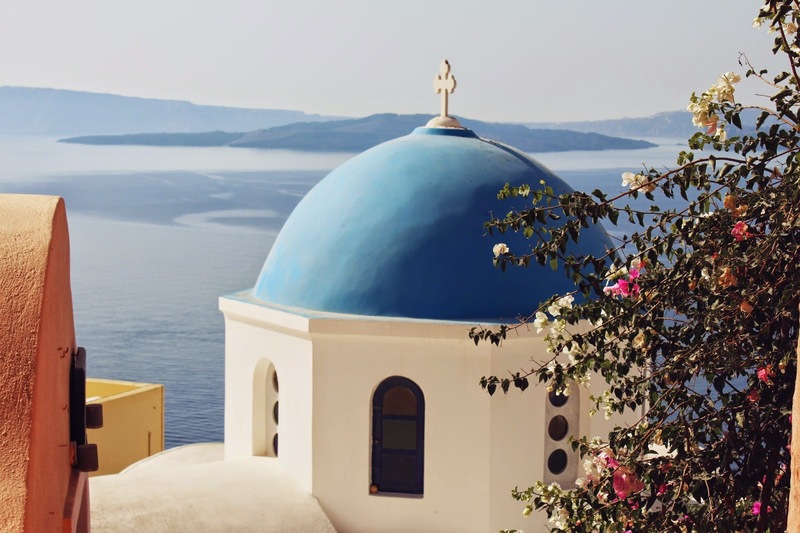 This little post features Santorini, a beautiful little volcanic Island, famed for its white buildings with blue roofs, crystal clear waters and hot springs. 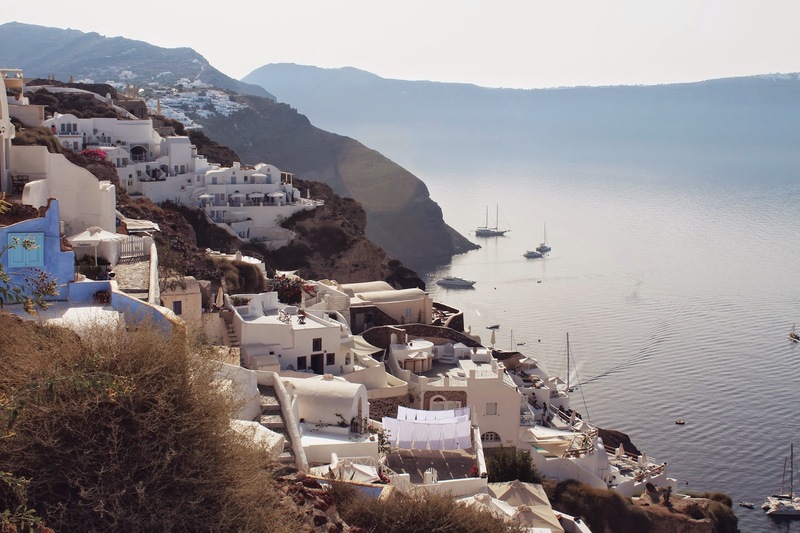 As the boat pulled into port, the steep cliffs of Santorini looked to be covered in snow, but that was just the white buildings. I didn't need to fear- it was 40 degree centigrade heat! I've never visited anywhere with such charming cobbled streets before. 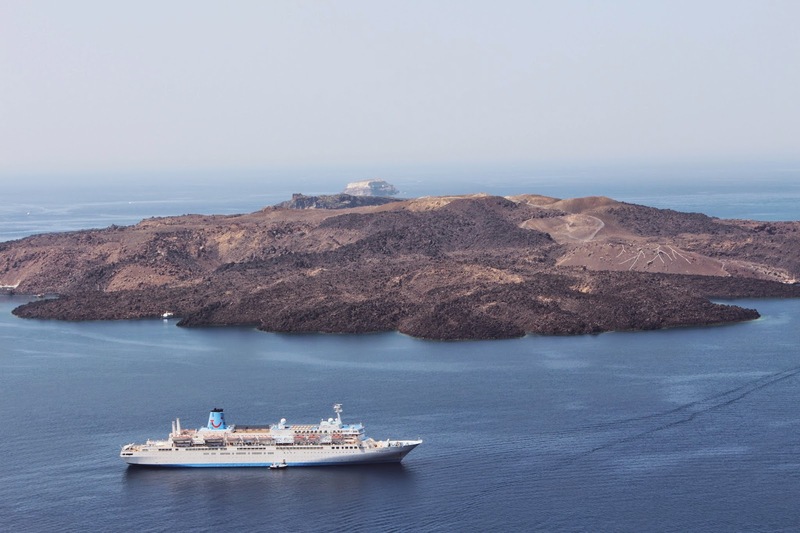 Every twist and turn gave you a new, beautiful vantage point of the sea. We visited a winery with a balcony which jutted out over the cliffs- a truly beautiful place to enjoy a glass of wine. The shops and houses are all set right into the side of the cliff, which makes for some precarious bends and sheer drops but fantastic views. If the uneven cobbled streets worry you, you can catch a donkey ride up and down from the beaches- a Santorini tradition! It was boiling hot, so I kept my outfit simple with flip flops, shorts and a crop top and spiced it up with my new favourite sunglasses. They are actually my first ever pair of designer sunglasses (usually I opt for Primark or cheap vintage ones!) so they feel very special when I wear them. I love the turquoise tortoise shell print- so unique! 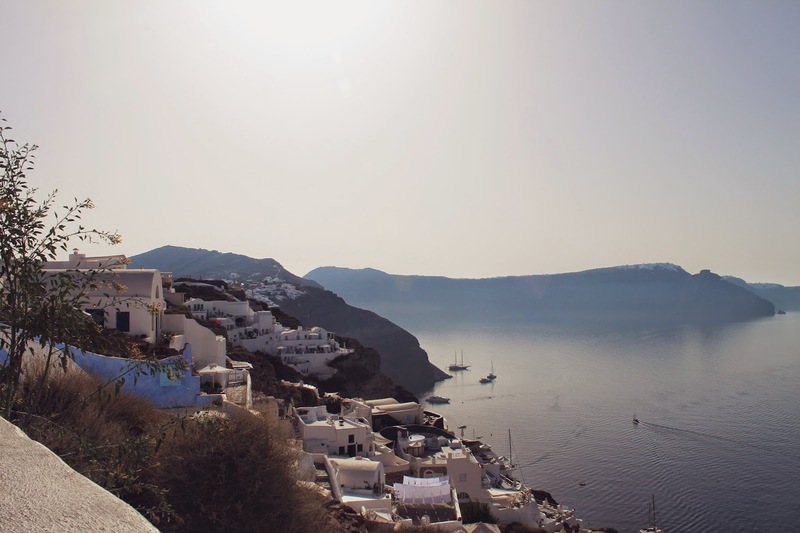 Over all I had an amazing time in Santorini, it is a beautiful place and if you ever have the chance to visit it- I would highly recommend it! (Oh and try the ice cream, thats on point).